This is a unique fruit set from England consisting of 6 forks and 6 knives. 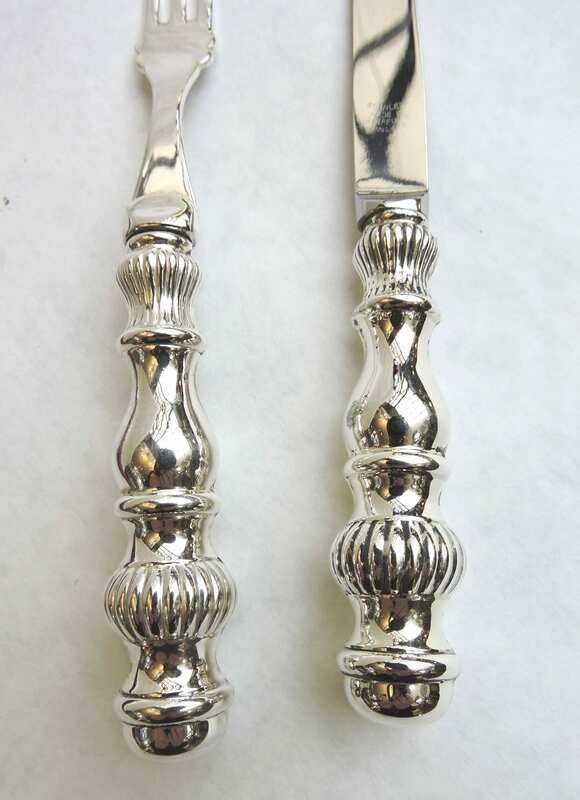 The decorative handles are sterling silver, the fork tines and the knife blades are stainless steel. Forks Measure: 6 1/2 inches long. Knives Measure: 6 7/8 inches long. Marked: Handle marked sterling, knife blades marked stainless made in Sheffield England, forks marked England. 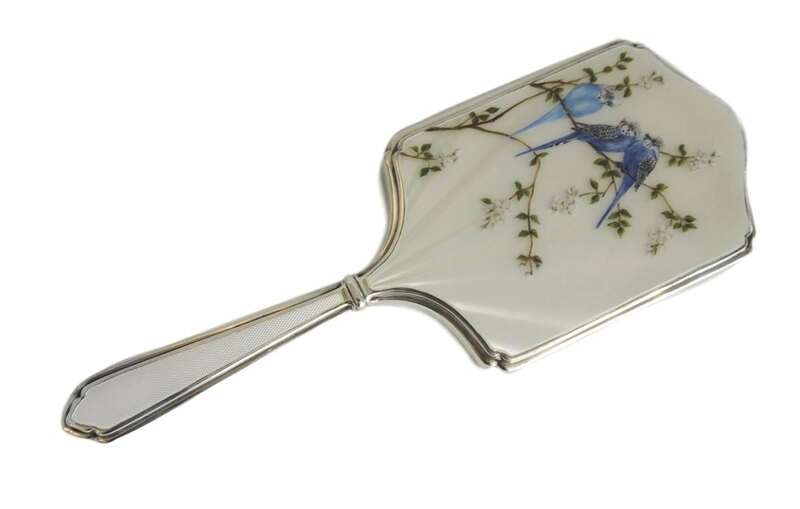 A beautifully enamelled dresser mirror with birds on branches over a white enamel background. Surrounded in sterling silver – English, London, dated 1947. 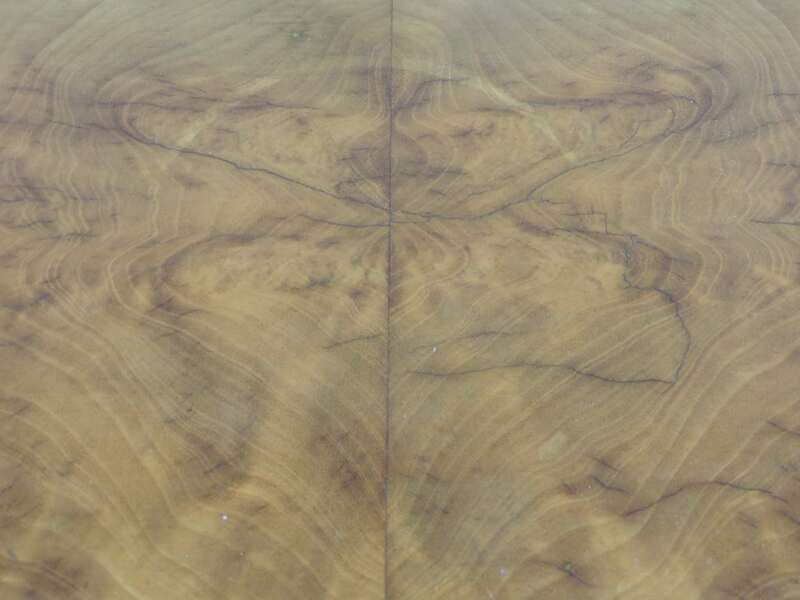 Mirror backing slightly worn in areas. Enamel in excellent condition. A ‘Crystal Ice Bucket – American Brilliant Period Cut Glass’ – made in America, dates circa 1920. It features a nice medium sized body and design, decorated with a deep cut chain of hobstar motifs with alternating stacks of little stars throughout the exterior, with a scalloped- cut rim and two rounded handles. Beautiful condition. No mark. American Brilliant Period Cut Glass. 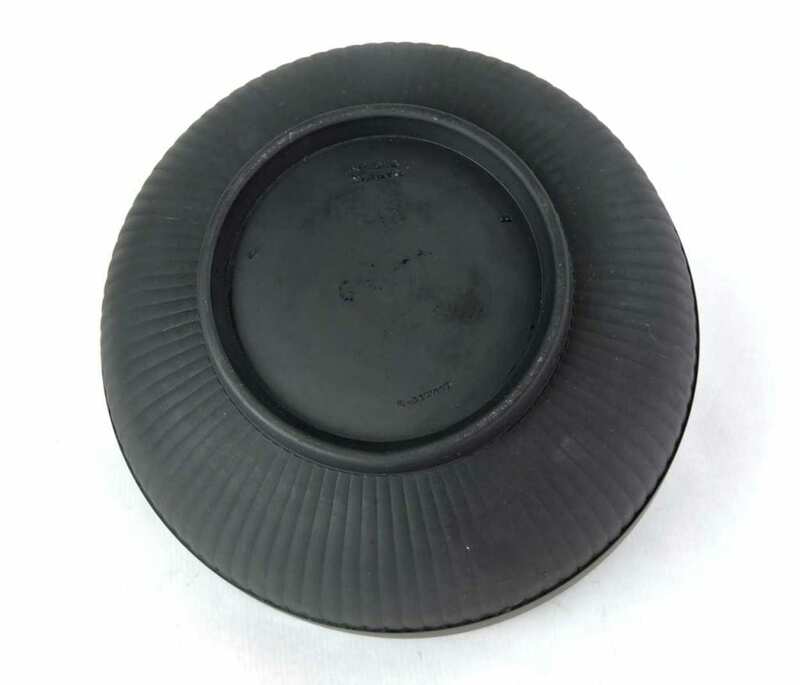 Measures: 7 1/4 inches wide x 5 3/4 inches tall. A fine vintage ‘Dinner Plate Set for 6 in the ‘Lady Patricia’ pattern -Hammersley, England – Signed ‘ F. Howard’. Each plate consists of a unique scalloped and embossed design, decorated with a British summer floral bouquet in the centre, and a heavily gilded gold rim with floral motifs. 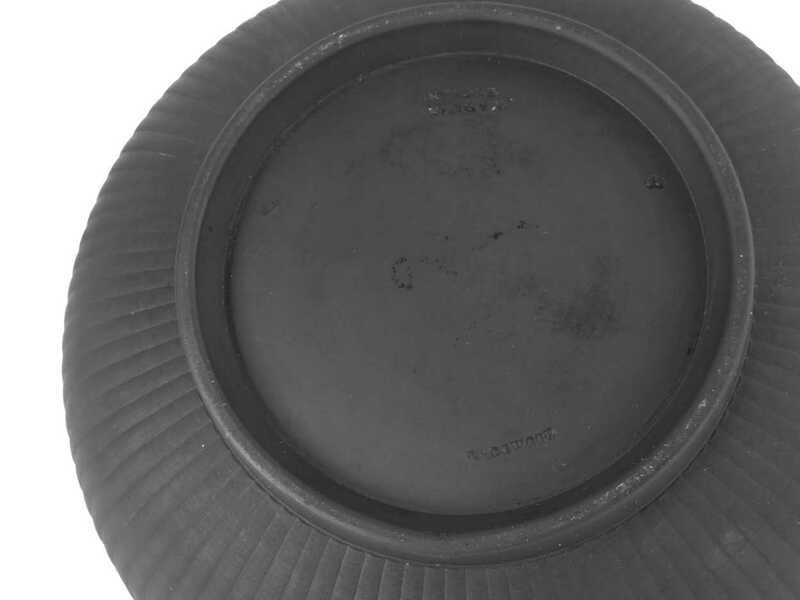 Measures: 10 5/8 inches in diameter. 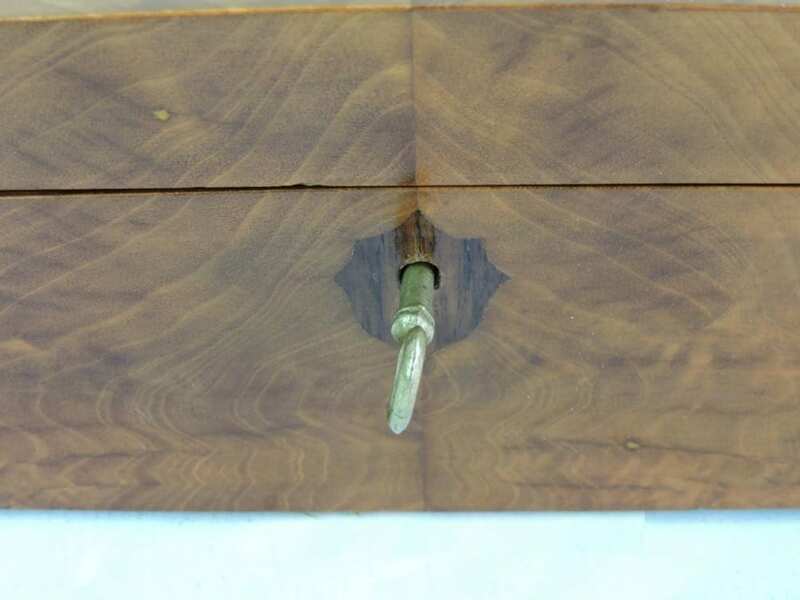 A ’19th Century – English Burled Walnut Glove Box ‘ – made in England, Victorian Period. 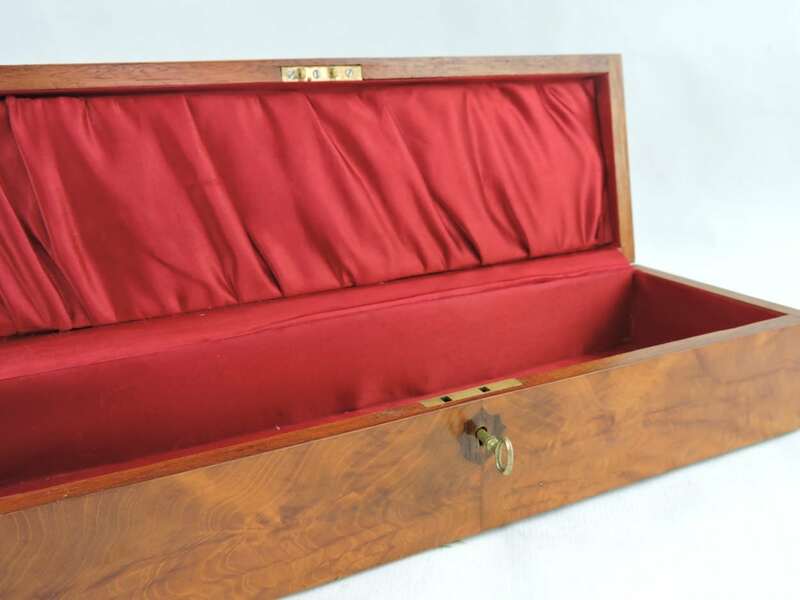 It features a unique walnut glove box design, lined with a red padded silk velvet interior, with a burled textured exterior in a nice colour and aged patina throughout, with a fully working lock and key included. Beautiful condition. Measures: 13 3/4 inches long x 3 inches tall x 4 1/2 inches deep. A ‘Sorrento Italian Inlaid Box – C.1880’ – made in Italy. 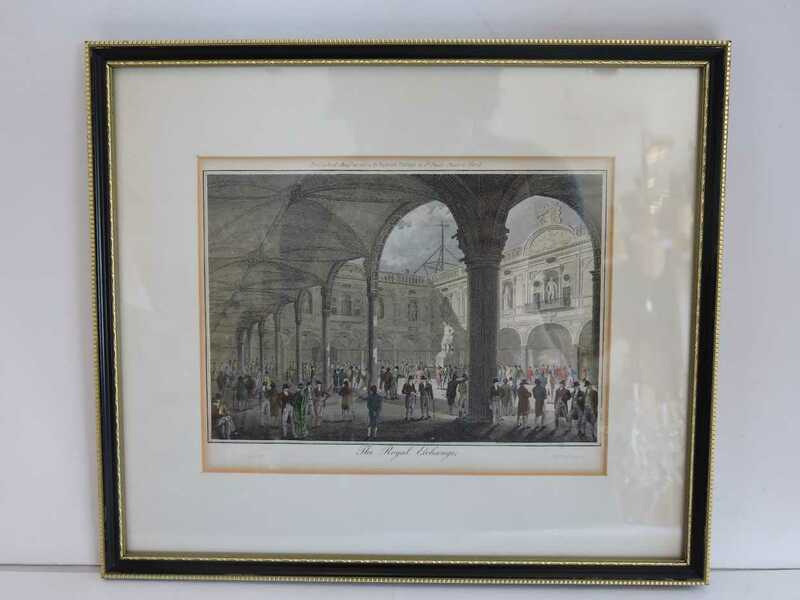 It features an exquisite inlaid design, decorated with two charming scenes, ‘Three Dancers’ scene in the exterior top centre, and a ‘Lady and Child’ scene in the interior top centre, lined with a red velvet interior, with a fully working lock and key included. Beautiful condition. Marker: Unknown Maker. Made in Italy. 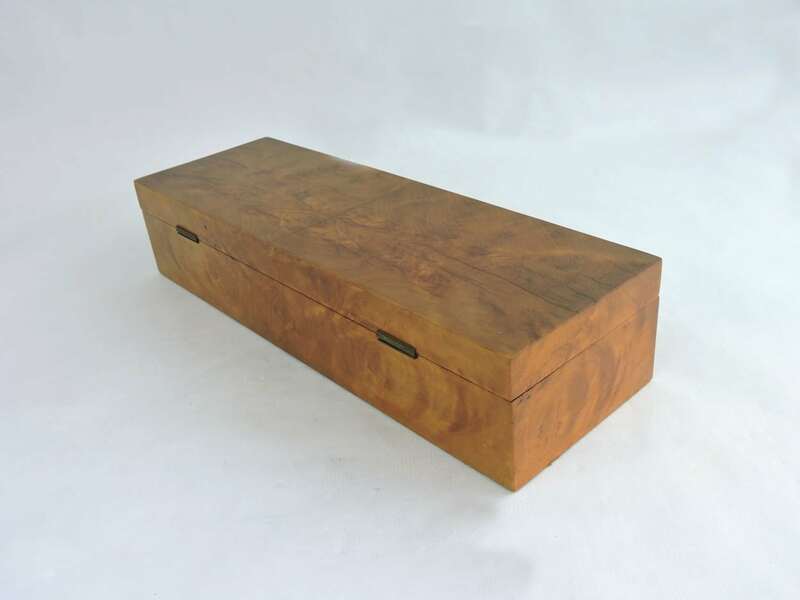 Measures: 9 1/2 inches long x 6 5/8 inches deep x 3 inches tall. Georg Jensen Sterling Salt Cellar and Matching Spoon – Pattern #110. Early Mark 1915-1930. An open salt cellar and matching spoon in pattern #110 (unknown name). Having the early Georg Jensen pre-war mark. 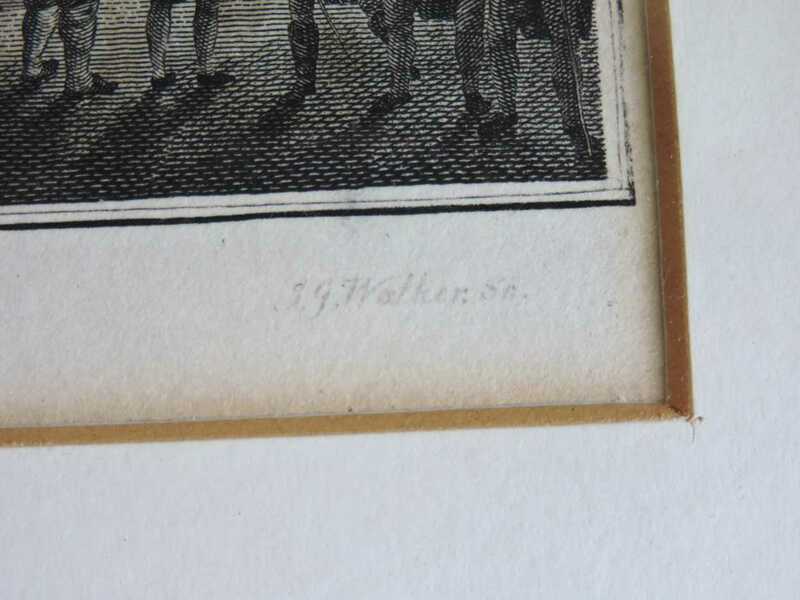 plus English sterling Import Marks. Spoon :2 inches long x 2 1/4 inches wide. Small spoon: 2 1/2 inches long x 1/4 inches wide. An ‘American Sterling – Nursery Rhyme Baby Bowl- Maker: William B. Kerr – American, circa 1910. It features an unusual nursery rhyme design, decorated with acid etched depictions,monogramed with the initials ‘S.S.’ in the centre, and inscribed: “Every night my prayers I say, And get my dinner every day, And every day that I’ve been good, I get an orange after food”. Additional Regal Silver – Silver Plate ‘Peter Rabbit’ Curved Handle Baby Spoon. Spoon Marked. 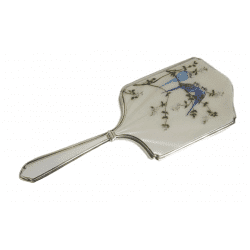 Regal Silver – Silver Plate. 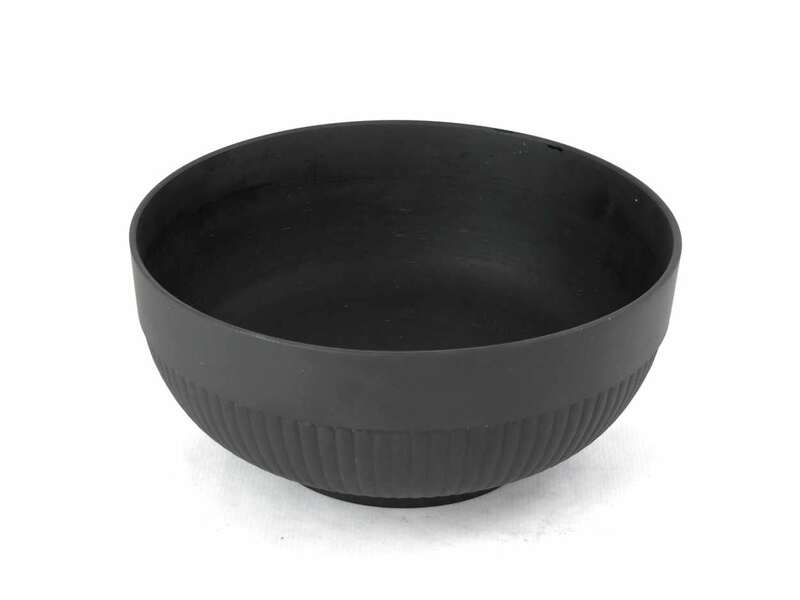 Bowl Measures: 4 3/8 inches in diameter x 1 7/8 inches tall. Spoon Measures: 3 1/2 inches long. 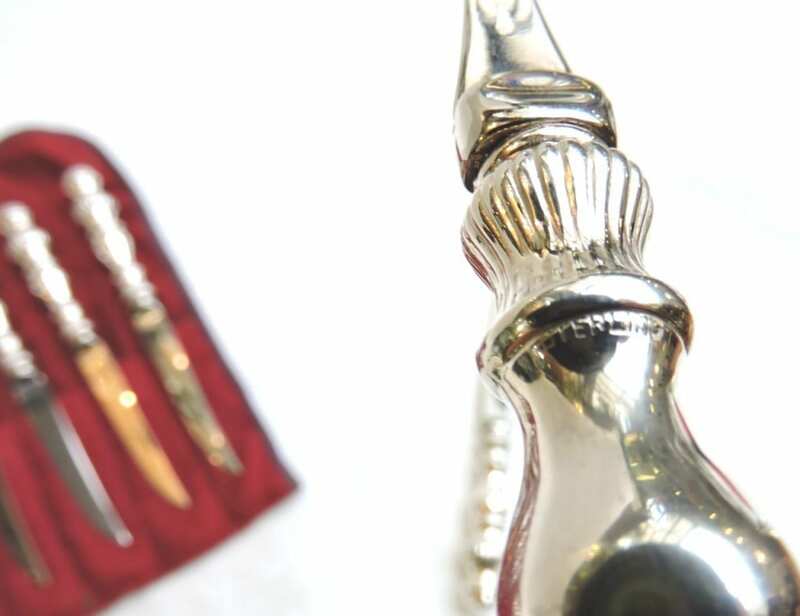 Cranberry and Sterling Silver Top Perfume Bottle, circa 1910. Sterling English Hallmarked Photo Frame – Dated 1903. A ‘Sterling English Hallmarked Photo Frame’ with beveled glass cover, and a deep cobalt fabric back liner – dated 1903, Birmingham. It features an exquisite bead, scroll, floral and shell design on a rectangle-shaped frame for keeping a portrait, or photograph. Marked: English Sterling Hallmarked. Birmingham. Dated 1903. Measures: 12 inches long x 8 inches wide. Photo size display measures 8 1/4 inches tall x 6 inches wide. 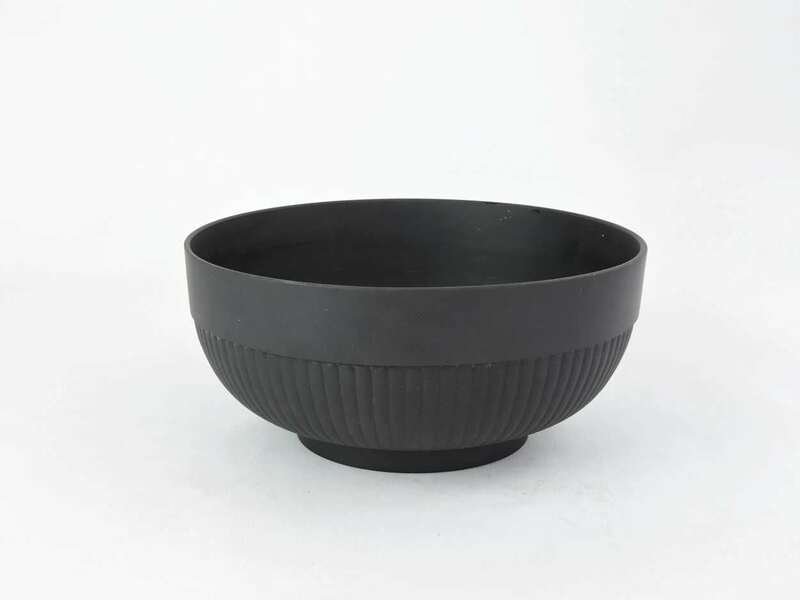 A nice simple black basalt ribbed pattern bowl by Wedgwood. Marked “Wedgwood, made in England”, the bowl dates circa 1920. 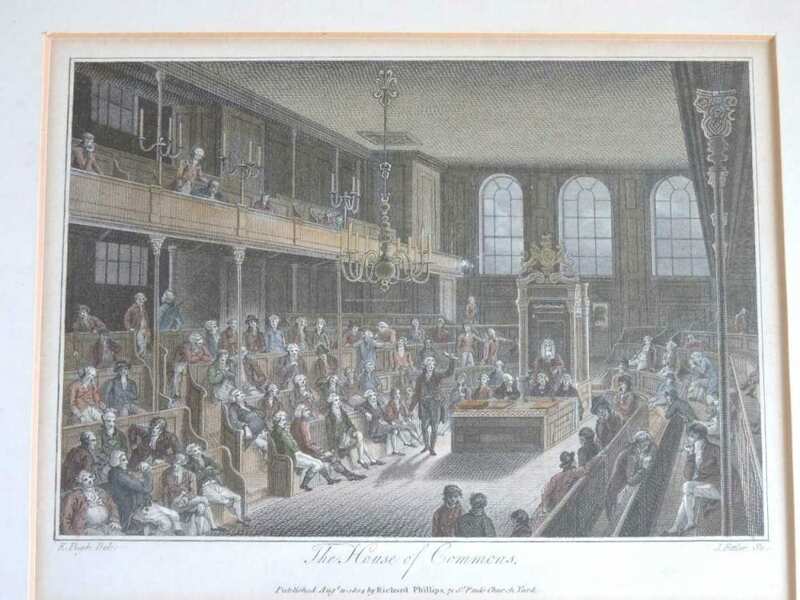 Pair of Prints – House of Commons, Royal Exchange. Published 1804. 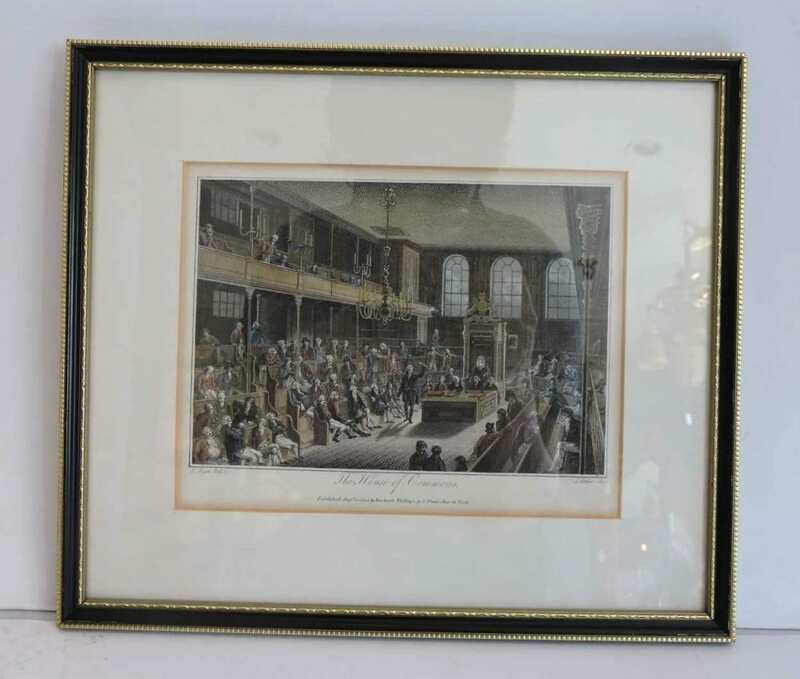 A pair of hand coloured prints with titles, ‘House of Commons’ and ‘Royal Exchange’, published in August 1804 by Richard Phillips, 71 Saint Pauls Church Yard. Each print is beautifully printed from the press, and contains a descriptive illustration depicting a narrative of everyday people in from the ‘House of Commons’ to the ‘Royal Exchange in England’. 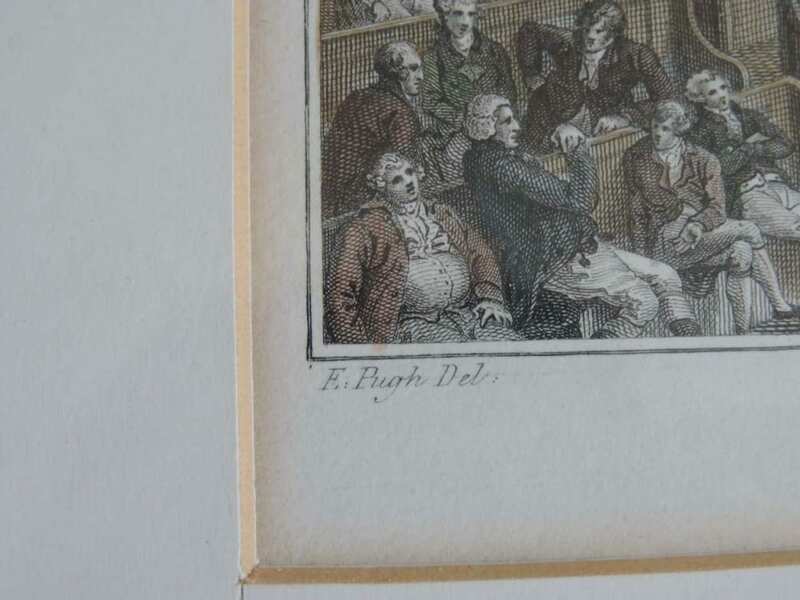 It features colour and black ink washes of : red, green, brown and blue. The line work is quite impressive and detailed, with a great direction of space and light to captures an experience. 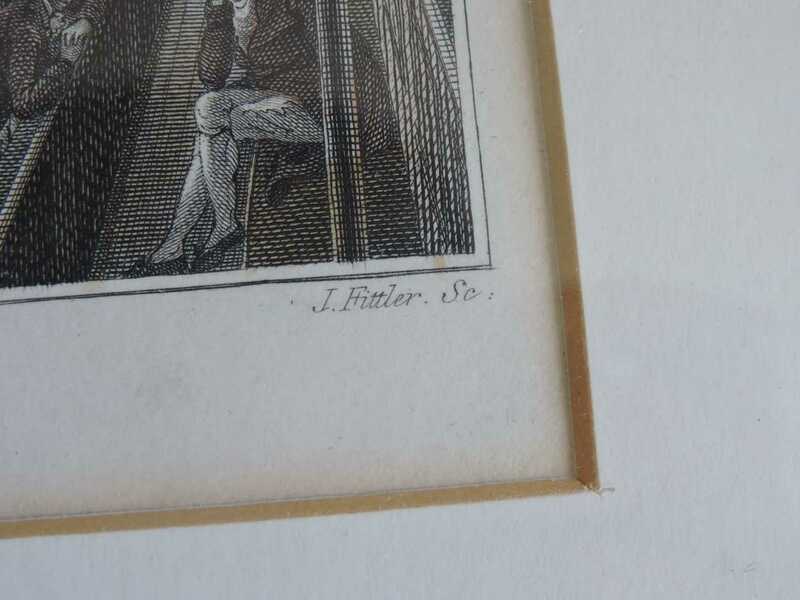 Each print had a mat border and lies under a sheet of glass with a dark wooden frame. 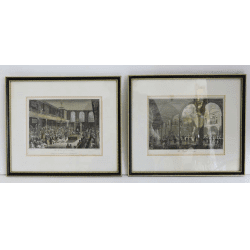 A spectacular pair of prints before the age of photography, it would make a timeless object to those who adore prints, or collect fine objects of sorts for the home. French Bronze Repoussé Hinged Box With Scenes of Rural France. circa 1880. An extravagant bronze repousse hinged box with ornate rural scenes of folklore and villagers, it dates circa 1880 France, during the early days of the ‘French Third Republic’. It features a unique circular-bodied design with ornate feet, a deep cobalt velvet interior, and a delightful decorative and scenic composition, consisting of a variety of tales surrounding everyday folklore and people at the time, with a charming forest landscape background. Marked: On the bottom, T & F. Paris. Measures: 4 1/2 inches tall x 5 1/2 inches wide.